Yes, it’s just a BMW i8 without a roof. 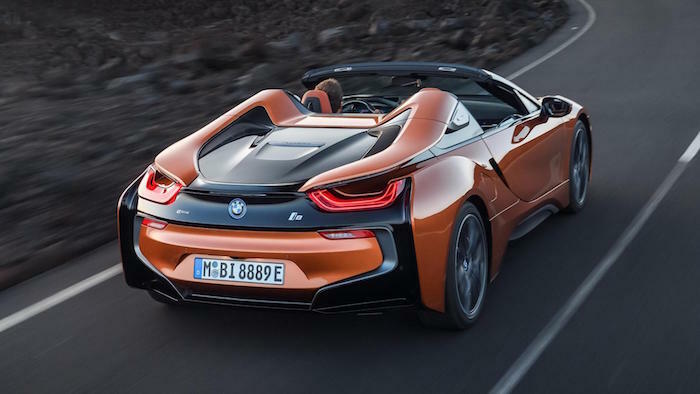 And yes, it’s taken BMW an unholy amount of time to get around to it, but the i8 Roadster is still a thing of beauty (how on earth did BMW’s designers manage to keep the flying buttresses despite decapitating it?). It also coincides with a mid-life update for the i8 so the electric motor now produces 143bhp – up 12bhp, taking the car’s total petrol and electric output to 374bhp. 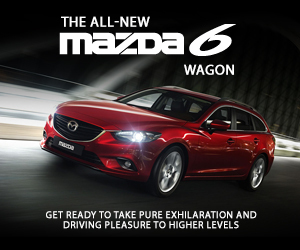 The electric-only range tops 48km now, too. 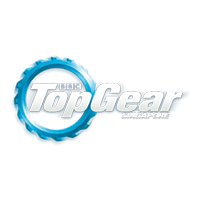 And because the Roadster only weighs 60kg more than the Coupe, it’s still fast – 0-100km/h in 4.6secs and 250km/h flat out. Volvo is completely reinventing its performance arm as a separate brand in itself. To do this successfully you need a car to capture the world’s attention. 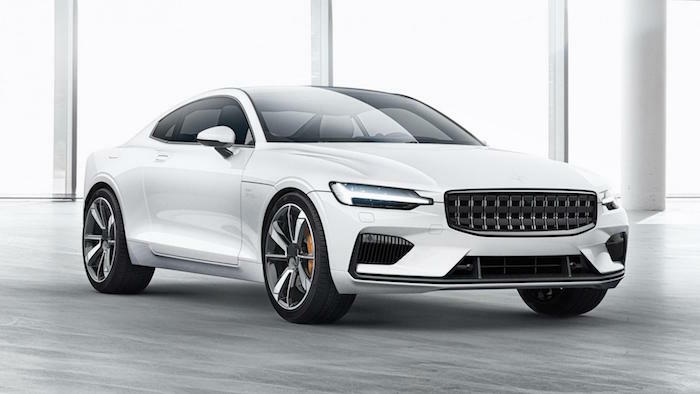 A car like the Polestar 1, then: a 591bhp, plug-in hybrid, BMW M4-sized 2+2 coupe that you’ll be able to own from mid-2019, but you can order from next year. You won’t find any Volvo badges here, but it is almost an exact replica of the Volvo Coupe Concept from 2013, which is no bad thing. Only 500 Polestar 1s will be built in total, at a brand-new factory currently under construction in Chengdu, China – a McLaren-esque glass palace due for completion in mid-2018 – while subsequent Polestars will all be pure electric models aimed at the Tesla Model 3 and Model X. 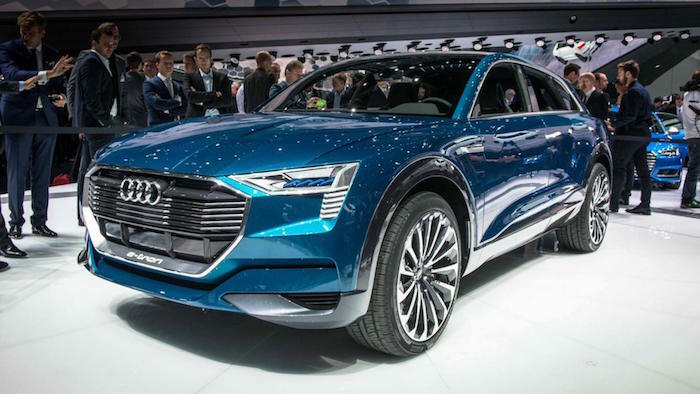 Remember the E-tron Quattro concept from 2015? No? To be fair it looked a lot like any other large Audi SUV, but this one will spawn the start of an EV revolution at Audi: it claims we’ll get a new EV every year from 2018 onwards. Based on the concept’s layout, it will feature two electric motors, one on each axle, with a combined 503bhp, 0-100km/h in 4.6secs, 210km/h and a 500km range. 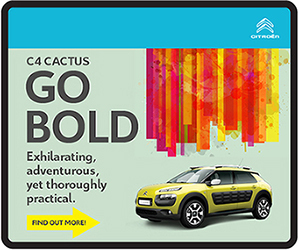 Bit like a Tesla Model X then, but with better build quality. 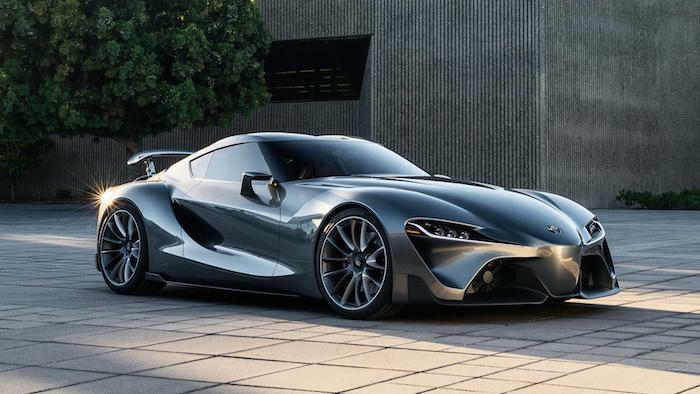 We know that we’ll see a new version of the Toyota Supra, possibly in concept form, in 2018, before it goes on sale in 2019. We also know it’s been co-developed with the BMW Z4… but beyond that it’s all a bit finger in the air. Toyota did delight us with the FT-1 concept in 2014 (pictured), but it’s been quiet since, while the engineers figured out how it was actually going to work. Rumour says its powertrain will be a hybrid, drawing links to its LMP1 racing car, and differentiating from the more conventional Z4. Given the majority of the Valkyrie’s propulsion will be provided by a socking great V12 (supplemented by an e-motor), calling it an EV is stretching things a bit. But any excuse to take another look at its aero-obsessed design, and pore over the details is one worth taking. There are still secrets buried in the powertrain, such as where the rev limit will fall and what the magic bhp figure will be, but we can have a good stab. The 6.5-litre V12 is a new design loosely derived from the CA2010 18,000rpm 2.4-litre V8 used by Williams in their 2010 F1 car, and currently on the test bench at Cosworth. It will be “high-revving” and immensely powerful. How powerful? Well, Newey’s original weight target for the car was 1,000kg; he admits they’ve slipped over that a bit but will still “comfortably eclipse” a one-to-one power-to-weight ratio. So a total system output, V12 and e-motor combined, that’s easily north of 1,000bhp. 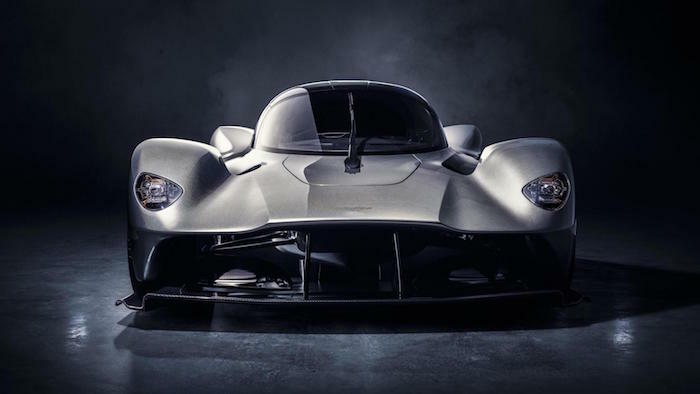 Quite frankly we’re going to be spoilt for hybrid hypercars yet again in 2018, and if the Project One hasn’t got you excited, may we suggest a trip to the doctor. It is the most literal translation ever of an F1 car for the road, developed by the current F1 team to beat – Mercedes-AMG. 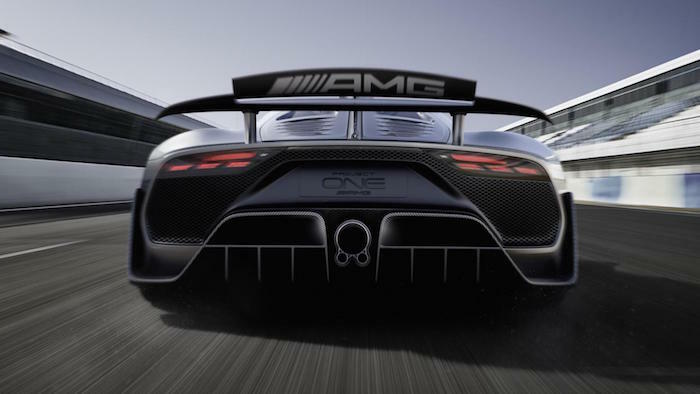 Mercedes’ official stats on the Project One are noticeably ambiguous. It’s confirmed the engine is indeed a 1.6-litre that happily revs to 11,000rpm, but in terms of power, we’re merely told the total output from the hybrid set-up exceeds 1,000bhp, while the top speed is beyond 349km/h. Oh, and it’ll match an actual F1 car from 0-100km/h. Of course the I-Pace will draw comparisons to the Tesla Model X, being electric and SUV-ish in shape, but what we like about the first battery-powered Jag is it goes its own way. Because you don’t have an engine under the bonnet anymore, or a transmission running along the car’s spine, the design doesn’t need to follow convention. Hence the more cab-forward stance and shorter overhangs, but all the interior space of an SUV from a class above. It’ll be quick, too, 394bhp, 4WD and 0-100km/h in 4.0secs, but it’ll only cost a bit more than a well-specced F-Pace and take you 310 miles between charges. Assuming Elon Musk can iron out production issues (turns out building 500,000 electric cars a year when you’ve never done anything remotely on that scale is a bit tricky) then Model 3s should start flooding into the UK, and other patiently waiting worldwide markets, in 2018. Why all the fuss? 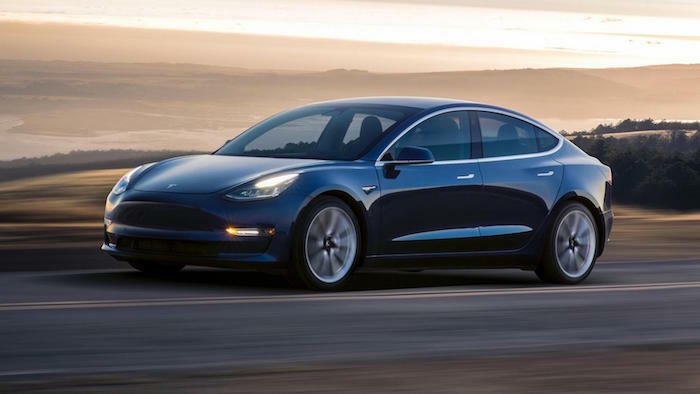 For all intents and purposes it’s a shrunken Model S, but it’s also half the price, bringing Tesla’s rocketing brand appeal within reach of non-millionaires. With a range of 500km, a 0-96km/h time of 5.1secs and seating for five, it could be the car that starts the charge from internal combustion to EVs in the mass market. 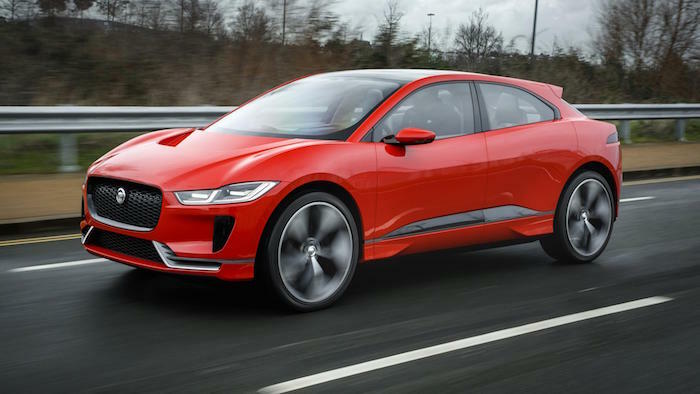 Jaguar is going to have Audi and Mercedes close behind it in the race to sell EVs to the SUV-obsessed masses. This is the Generation EQ, a concept that previews Merc’s first EV under the EQ banner, and the specs are strangely similar to the I-Pace. It has two electric motors, one each for the front and rear axles. 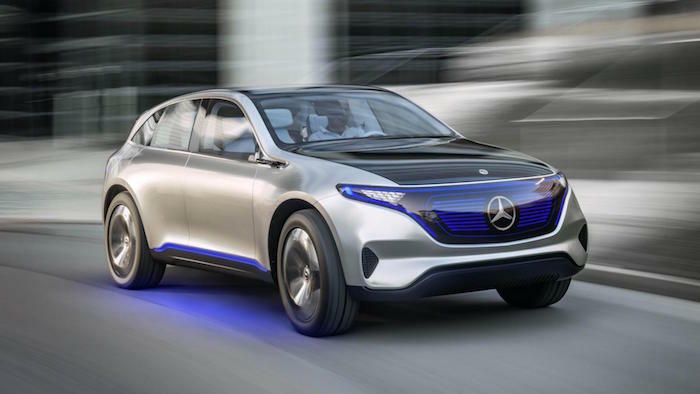 Merc promises a little over 400bhp and 700Nm for the “most powerful variant” of the Generation EQ, which should see this all-electric SUV to 100km/h in less than five seconds. Total battery capacity is 70kWh, and the range is said to be a Tesla-beating 500km. It can be charged wirelessly or via cable. Forming the third pillar of the Valyrie and Project One hypercar trilogy for 2018 is the Koenigsegg Regera – a 1,479bhp, 1,986Nm, 402km/h hybrid Swedish bullet. And no, those figures are not a mistake. At the heart of the Regera sits broadly the same 5.0-litre twin turbo V8 as you’ll find in the back of an Agera RS, but to give it a little extra something, there’s also the small matter of three electric motors as well. We’ve already driven a pre-production prototype and never found a more effective way of destroying tyres - this thing is part spaceship, part smoke machine. 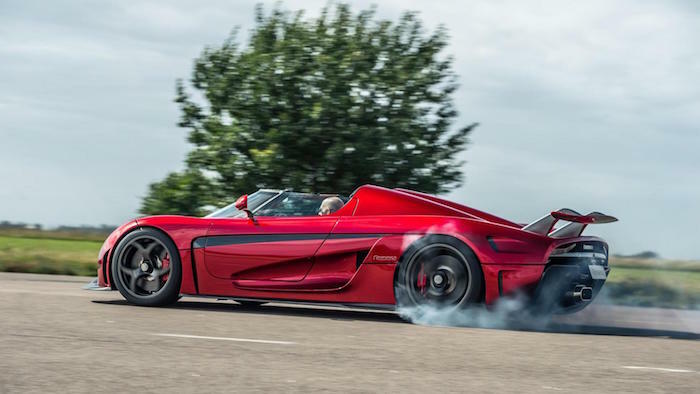 Koenigsegg intends for the Regera to rain on the Chiron’s parade, to make you question why Bugatti hasn’t done something this radical for the Veyron’s replacement. We’ll know the answer to that when we drive a finished Regera in 2018.